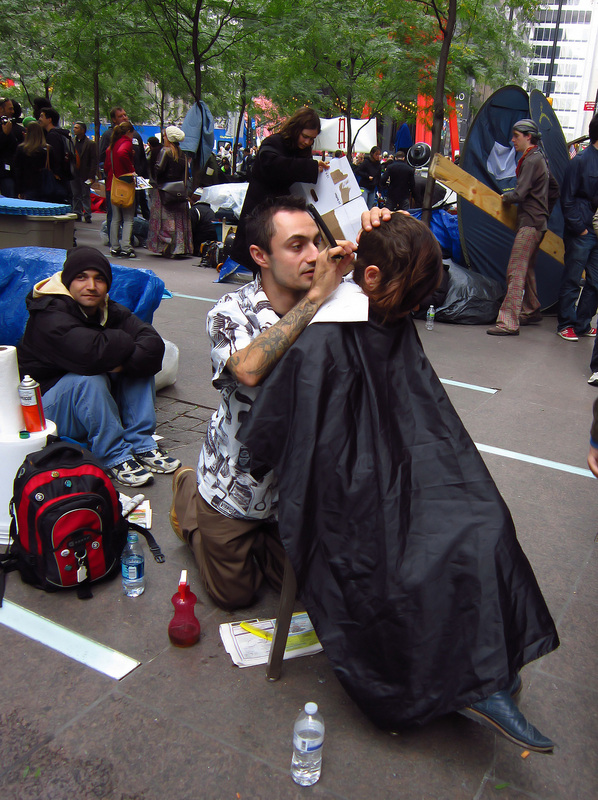 It was busy day down at Zuccotti Park last Friday. Each time I've visited, the air is abuzz with activity and optimism. First off, I like this sign. 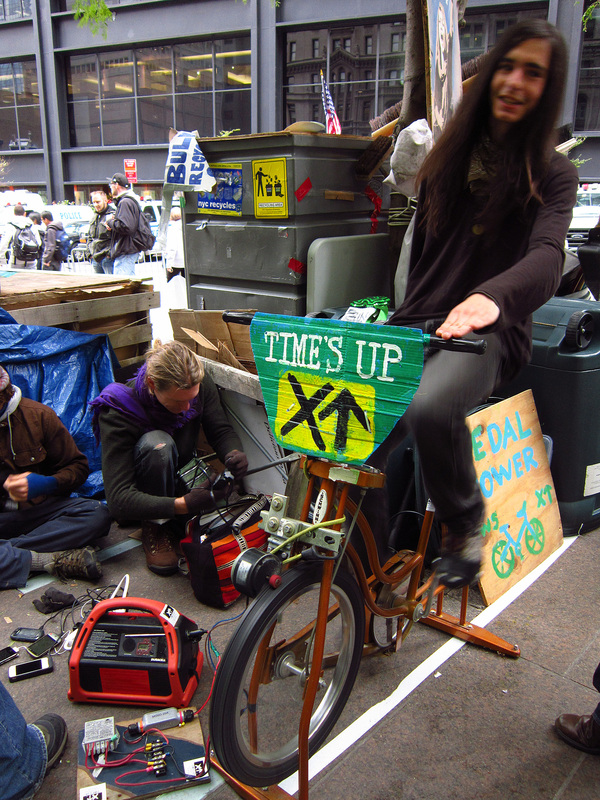 Here we have the Time's Up folks using pedal power to charge a battery that is, in turn, charging a bunch of cell phones. I like this man's attitude. 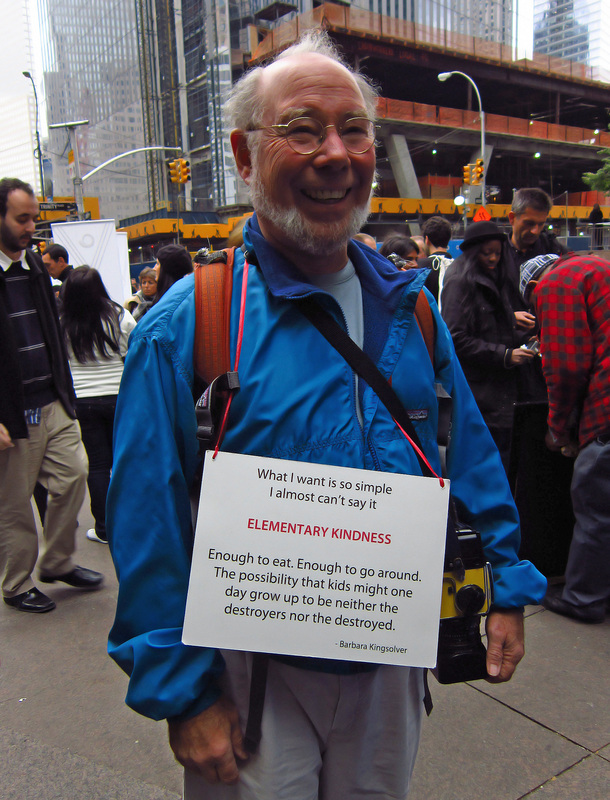 Elementary Kindness. Is that so hard? 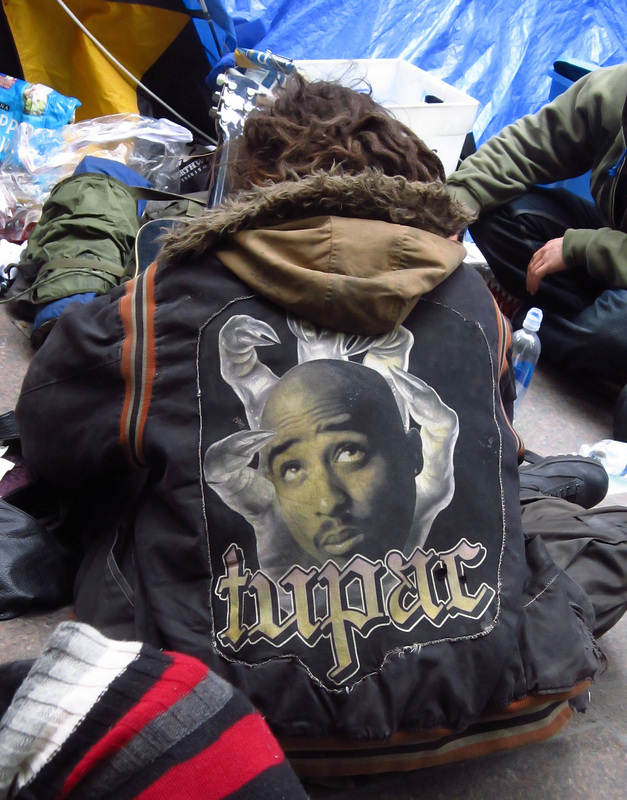 And, is this not the best jacket ever?? 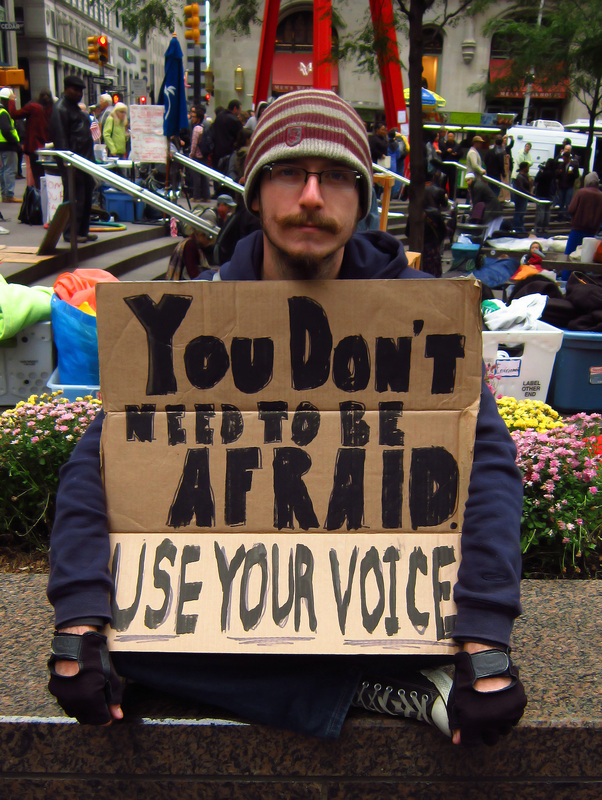 See more OWS photos here.